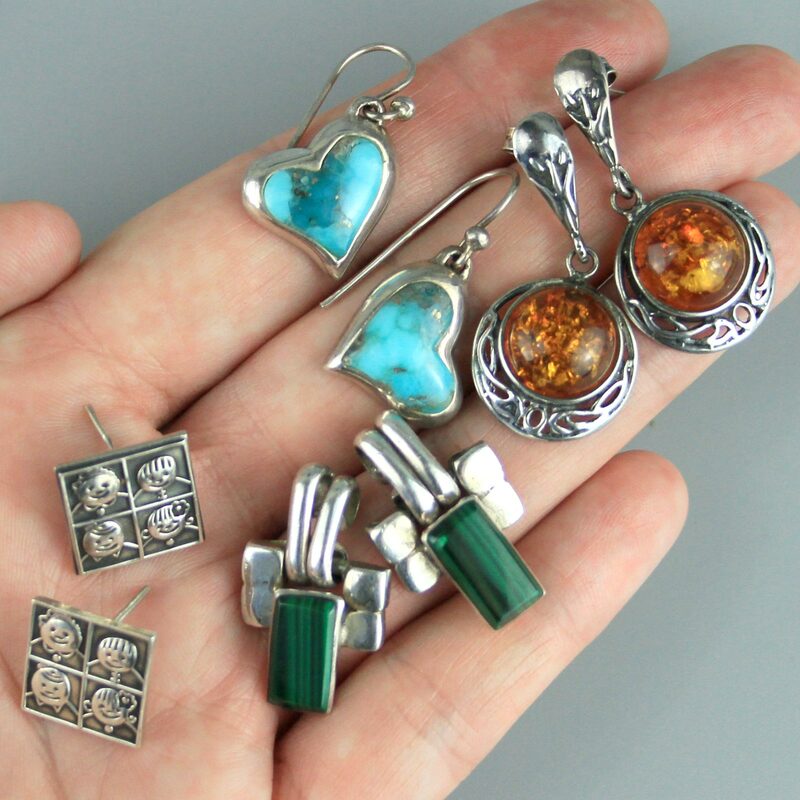 Very cute sterling silver handmade vintage earrings. 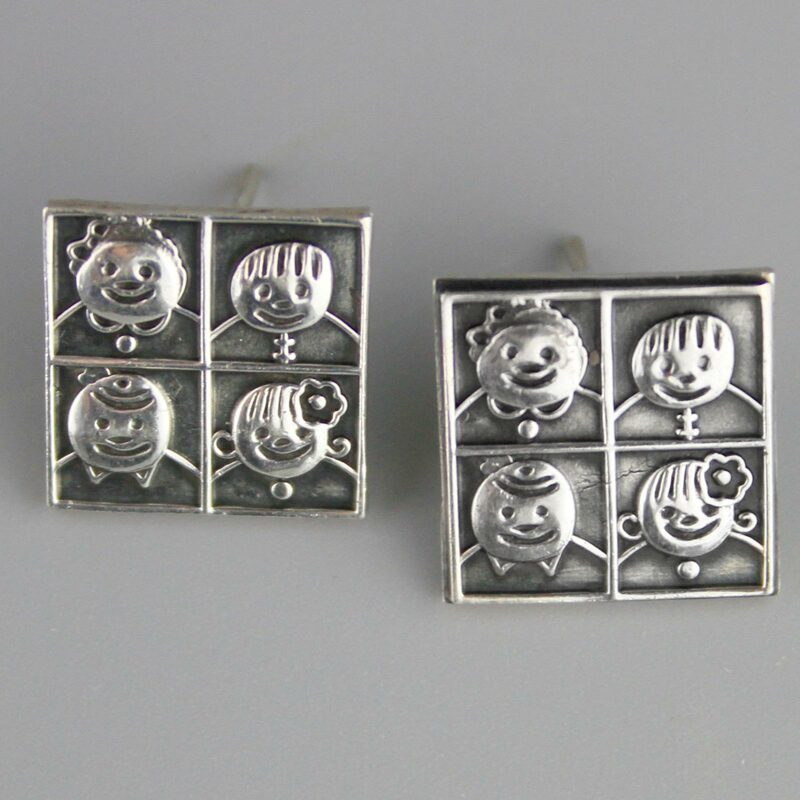 Square stud with four portraits inside, might be a little family portrait. 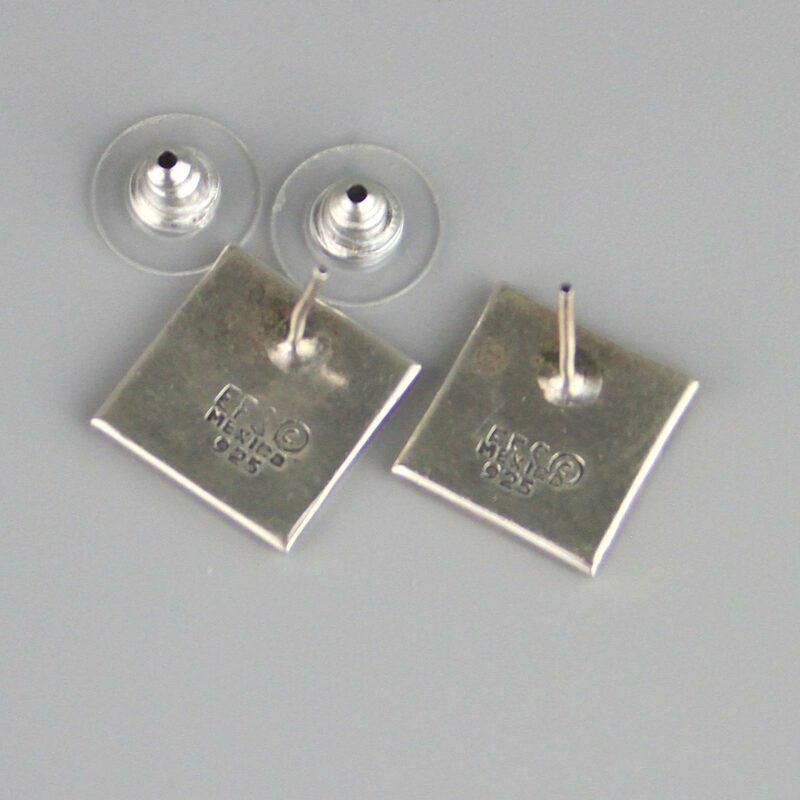 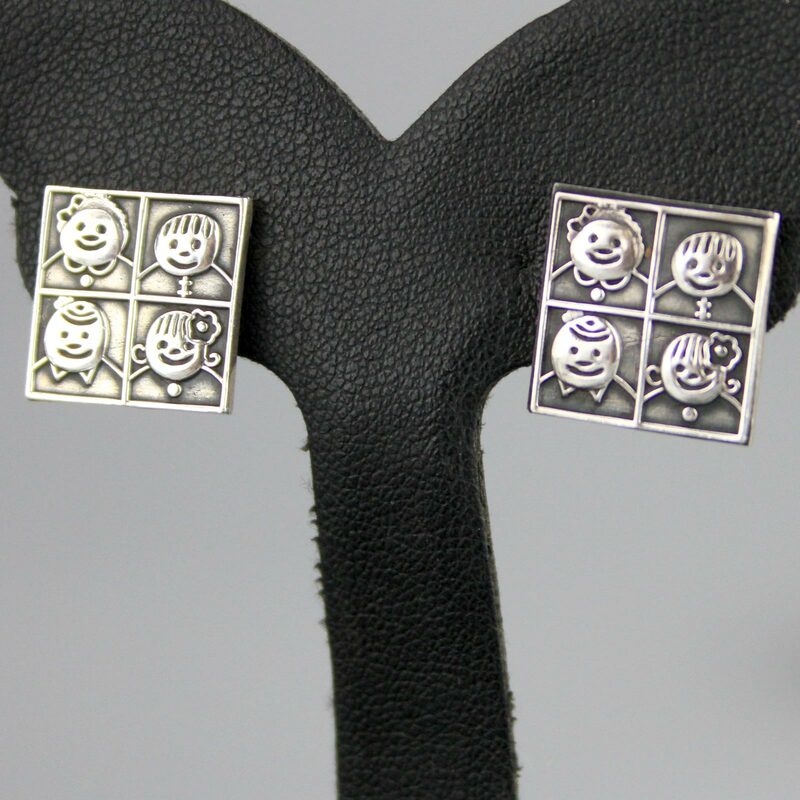 Nicely made, good quality figurative and unusual stud.